Traveling alone is one of the best things that you can do for yourself. There is a certain sense of independence and freedom knowing that you can do anything that you want, when you want. If I decide that I wanted to leave a particular place, I could just hop on a train without having to discuss plans with anyone. Tom and I have traveled separately before meeting each other and both loved it. No matter how much fun solo traveling is, sharing your adventures with someone is pretty awesome too. Take caution though, because traveling with someone can be quite challenging. Even best of friends can end up fighting while traveling (yes, I’ve been there!). Tom and I travel extremely well together. We once traveled for almost 48 hours straight when we went from Pai to Koh Tao, Thailand. Believe me, if you can manage to still laugh and enjoy each other’s company despite not having a shower and a proper nights sleep, you’re doing alright. 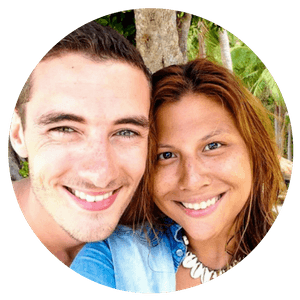 So if you’re keen on finding your next travel buddy or partner, listen up as what I’m about to say is crucial! Want to know more about our story? 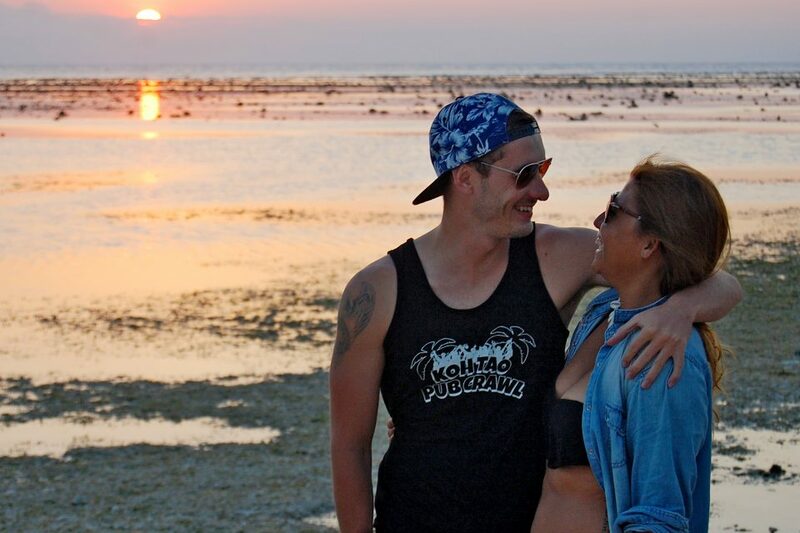 Read How we Met on the sand dunes of Vietnam. When traveling with someone, it’s important that you both share the same interests. Traveling with someone who’s interested in doing different things is hard. Don’t get me wrong; when you travel with someone, you guys don’t have to be attached by the hip. 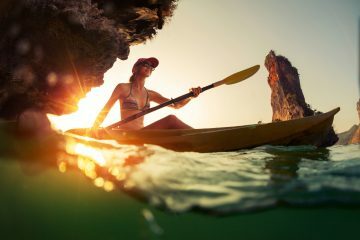 Take tours and trips on your own, it’s good for you! I traveled through Spain and France with a really good friend of mine and there were days where we would ‘take days off’ from each other and just do what we wanted. You both need to have things in common that you both enjoy doing. Tom and I are both very relaxed people, so we’re both quiet easy when it comes to deciding what to do. As long as we have food, we’re happy! Find someone who is generally interested in doing the same things as you. If you’re into museums and galleries, a travel buddy who just wants to chill during the day and party all night won’t be the best match. 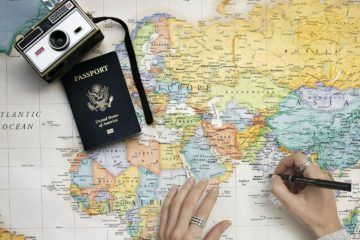 Before you decide to pack your bags and travel somewhere with someone, make sure you guys have talked about your travel budget. The money that you are willing to spend will dictate where you will sleep, what you will eat, and what you will be doing. Traveling with someone whose budget is different than yours can be difficult. Hotel or hostel? Fancy restaurant or street food? 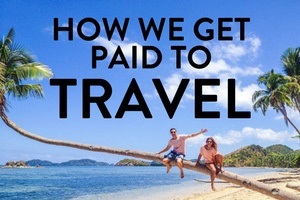 Talk about money and how much you’re willing to spend for a certain trip. In Asia, it is quite simple as nearly everybody is on a budget. You would think there was a ‘how cheap can you go’ award that everyone is competing for. Believe me, backpackers will haggle endlessly for an extra $2 off (hey, that discount will pay for a beer later on!) Both Tom and I don’t mind to rough it out. We’ve both slept in pretty odd places, all for the sake of saving a few dollars. So think twice if you’re planning a trip on a tight budget and your partner isn’t on the same page. When you’re tired and cranky, or on a never-ending 30 hour bus ride, you ultimately need someone that you can laugh with. Whether you or your partner is the optimist or comedian in the duo, it doesn’t matter as long as you both are willing to take it all in and laugh. Travel with someone who has the same sense of humor or who can find humor in anything! There’s nothing worse than getting stuck with someone who will complain about how things have gone wrong. Oh and believe me, things will go wrong all the time. That’s the beauty of traveling though. It puts your character into test in various occasions on a daily basis. So do yourself a favor and find someone who can make you laugh in any situation. It will make your trip so much more fun! 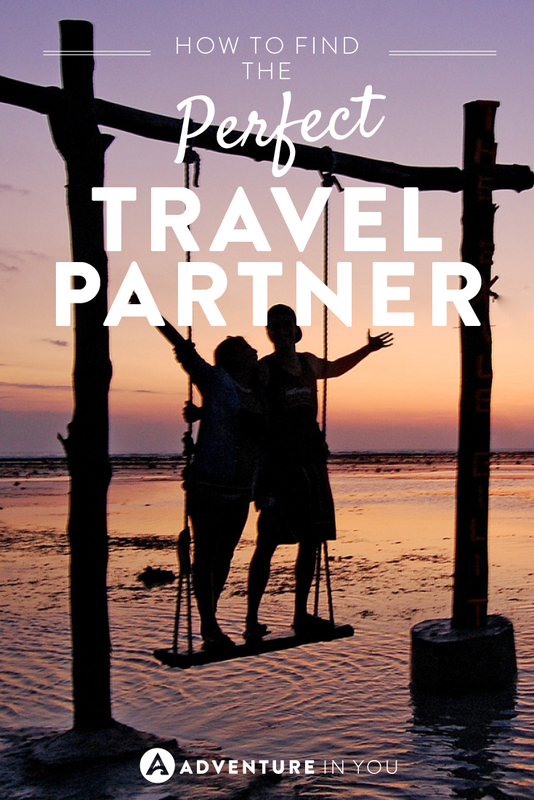 Traveling with someone, believe it or not is a partnership. 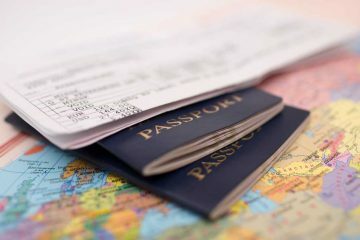 There is a lot of planning that goes behind traveling if you want to be able to maximize your time and money. Although I don’t plan everything down to the last detail, research on bus schedules, and travel routes need to be sorted out (even if it’s only a day before). In every partnership, it is ideal to have different roles, but the important part is that you can depend on each other. Between Tom and I, I am obviously the planner. Tom is the type to wake up, decide that he’s leaving, show up on the bus station and take a chance on what’s available. I am quite the opposite as I will look into schedules, check arrival times, and have a general idea where I want to go to next. I guess this has become a habit as a solo female traveler. There is nothing sketchier than arriving in a foreign country late at night with no clue where to go! Despite our differences, I know I can depend on Tom. You don’t want to be traveling with someone that relies on you to plan and sort out everything. Although there is no such thing as a perfect travel partner, I think the most important trait is being able to enjoy each other’s company. Travel with someone who you generally like being with. Travel with someone who can manage to make you laugh, even while sitting on a crowded bus amidst livestock. 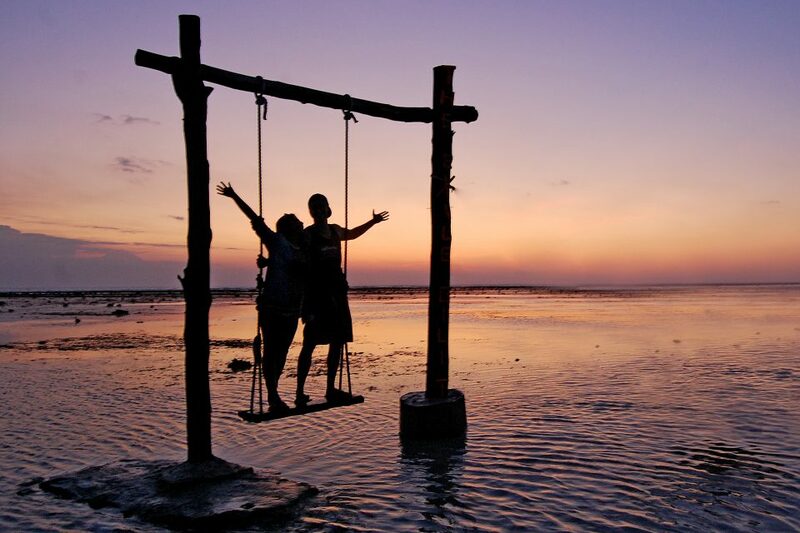 Most importantly, travel with someone who you want to make lifelong experiences with. 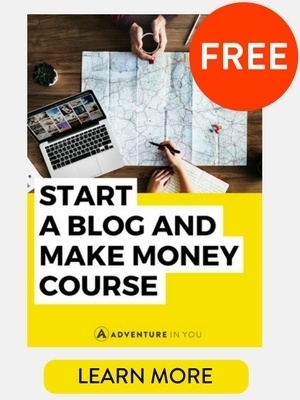 Nice post and some great tips! Agree! Where are you heading on your 5th trip ? Haha We both love traveling alone also! We sometimes go off on our own for a few days whenever we need to. Sometimes you just need your own time to explore! 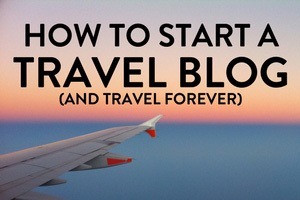 Great tips, but I have to say that finding a travel partner is one of the things that has been the hardest for me. I am fiercely independent and I love doing things my way, so it has always been hard to find someone else who meshes with my style. Maybe one day! Totally agree and haha awesome to hear! I’ve traveled with partners that worked and others that didn’t and I can attest that it is much nicer to be on the same wavelength as your partner. Another important point is knowing when to call it quits with someone who isn’t working out! Ah, you’re right @disqus_x3idCTqP7e:disqus ! It’s a tough one but a lot better than dragging it on. It’s for a lot of these reasons that I’m so glad my husband is my travel partner! We’re actually very different as people, but thankfully we see eye to eye on everything that matters! These are all great points which the Mrs and I are talking over right now! Nice post! Communication is so important in everything we do – particularly travel. And having a lot of communication before and during – crucial! Yes, I agree @disqus_AzdQ8mOppy:disqus. You need to be able to talk things out..and have a good laugh about things.